If you’d like to enhance your focus, boost attention span, slash anxiety, and improve your cognitive abilities, then nootropics may be the answer. In this unbiased and evidence-based article, you’ll learn exactly what nootropics are, and how to use them for optimal results. So, keep reading! ​Nootropics: What Are They and Why Should You Care? A nootropic is a compound – either artificial or natural – that can enhance cognitive functioning. How it improves cognitive abilities depends on the nootropic, but common ways are increased focus, improved energy levels and memory, and decreased anxiety. Usually, nootropics work by increasing or decreasing certain neurotransmitters (brain chemicals), modulating neuronal metabolism, improving blood flow to the brain, raising neurotrophic factors, or by influencing other cellular processes. Now, there's one important thing to note: nootropics are NOT a magic pill that will instantly turn you into a genius, like in the movie Limitless. Instead, they can give you a small edge in unlocking peak mental performance, so that you can study better for your exams, boost your productivity at work, or feel more at ease during social gatherings. Since nootropics are relatively new, most of them lack long-term research. That’s why the long-term effects of cognitive-enhancing drugs are mostly unknown, and why the safety of taking them long-term can’t be guaranteed. This uncertainty is even greater among children and young adults because the brain doesn’t fully mature until around the age of twenty-five (1). That’s why this age group is better off by optimizing brain functioning through focusing on getting enough sleep, maintaining a healthy diet, and following a proper exercise plan. That said, nootropics are generally believed to be safe, and some of them even have protective or health-promoting qualities for your brain and body. As with every supplement, the quality among nootropic products varies tremendously. That’s why, to benefit from nootropics and support your health and well-being, it’s crucial that you select the right product. Here are four important factors to look for when buying nootropics. Proper active ingredient. Many manufacturers use cheap ingredients to raise their profits. But if you want to experience the maximum benefits, it’s crucial that the active ingredient is present in the right form. Adequate quantity. Once you’re sure that the product contains the active ingredient in the right form, check if it’s present in the right dosage, because no matter how potent an ingredient is, if it’s not available in the right amount, it’s still ineffective. Certificate of Analysis (CoA). Choose a product that has a CoA, which means that it’s independently lab-tested to ensure quality, potency and that it doesn’t possess any potentially harmful compounds. A few popular third-party testing companies include US Pharmacopeia (USP Verified) and Consumer Lab. Junk-free. Many products are loaded with compounds that are not keto-friendly, such as yeast, soy, preservatives, fillers, added sugar, or artificial flavorings or colorings, and so forth. Choose a product that doesn’t contain these compounds. If you’d like to boost your cognitive abilities, then good news! Below, you’ll find six powerful, scientifically-proven nootropics. Simply go through the list to discover which compound best fits your needs. You’ll also find our unbiased, thoroughly-researched supplement recommendation for each compound, so that you don't have to analyze products yourself. Important! A few of the supplements outlined below are sold in powdered form. 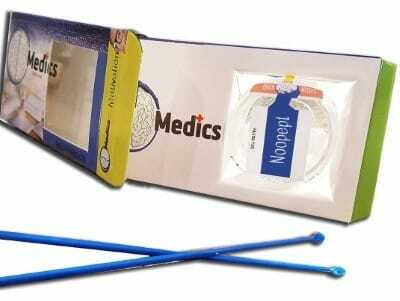 To use those safely and effectively, you need a scale to measure dosage. Not using a scale could lead you to ingest a dangerous or even lethal amount unintentionally. So, please, invest in a digital scale​ like this one so that you can measure your dosage accurately! 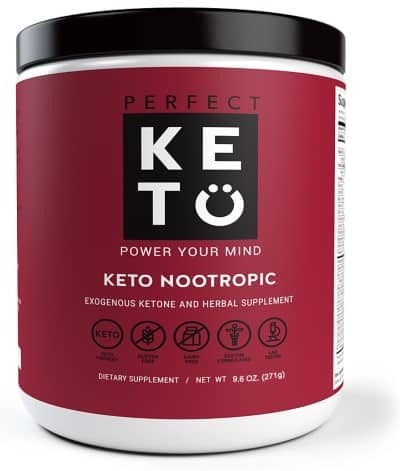 If you’re looking for a pre-made nootropic “stack,” then this product by Perfect Keto is an excellent choice, as it’s jam-packed with potent cognitive enhancers and designed specifically for keto diet. These include phosphatidylserine, ginkgo biloba, alpha lipoic acid, l-theanine, cat's claw, DHA, and Alpha GPC. 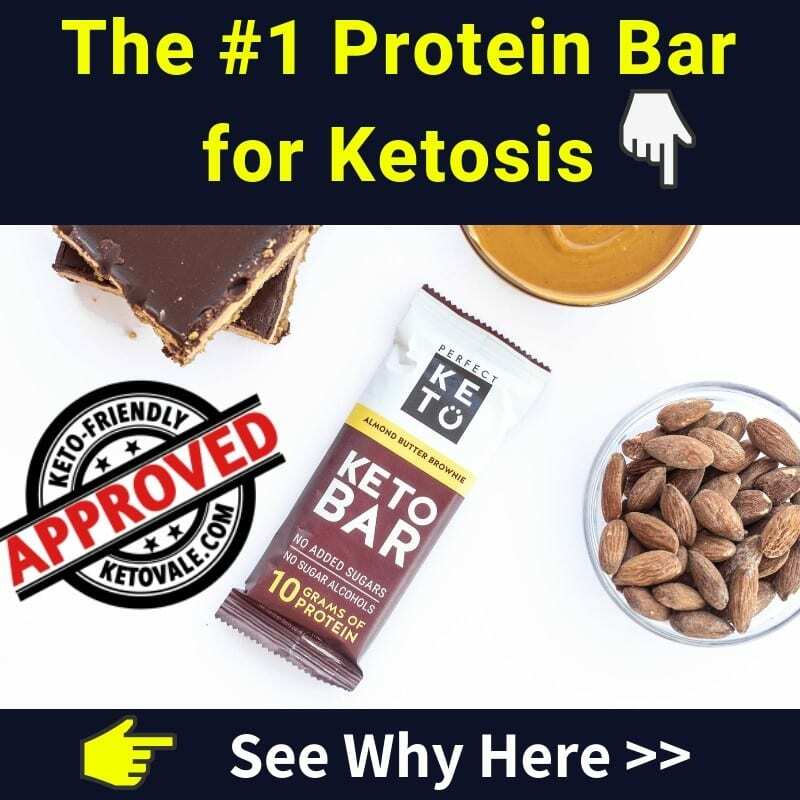 It also contains the following​: MCTs and exogenous ketones to fuel your brain and deepen ketosis; a wide range of vitamins and minerals to support optimal health and brain functioning; grass-fed collagen peptides for lasting fuel; and many more beneficial compounds. You would expect a product with so many beneficial compounds to taste terrible. Fortunately, nothing could be further from the truth. ​This product has a delicious chocolate-milk-like flavor which means you actually look forward to your next serving. Besides, it also mixes well with your favorite beverages, such as smoothies, coffee, nut milk, or just plain water. Bacopa Monnieri is a well-researched Ayurvedic herb that’s best known for enhancing memory​, concentration and increasing ​neuroprotection, according to many studies (2, 3, 4, 5, 6, 7, 8, 9, 10, 11). One systematic review of six randomized and controlled studies, for example, found that supplementing with between 300 and 450 mg of Bacopa Monnieri extract a day significantly enhanced memory in older adults (12). While it’s unclear how exactly Bacopa enhances memory, it’s believed there are three main reasons why it does so; because it’s a potent anti-oxidant; because it stimulates blood flow to the brain; and because it functions as a weak acetylcholinesterase inhibitor. 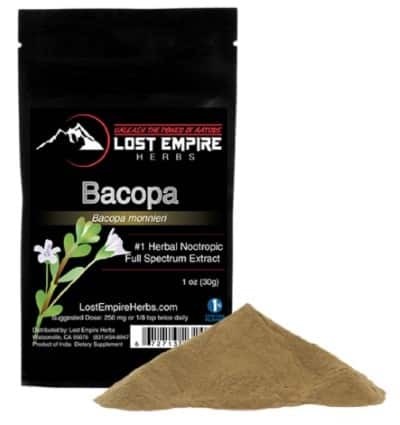 Recommended product:​ The ​Bacopa ​Powder by Lost Empire Herbs. Independently lab-tested at Alkemist Labs to ensure quality, potency and that it doesn’t contain any potentially harmful compounds. How to use: Take 250 mg (1/4th of a teaspoon) of Lost Empire's bacopa powder twice a day – ideally in the morning and at night. Ginkgo biloba is a popular brain booster that’s derived from the Ginkgo biloba tree. Research shows that it can increase focus and memory, which it does primarily by enhancing the blood flow to your brain (13). Ginkgo biloba is also found to reduce age-related cognitive decline (14). ​Research shows that taking it before a taxing task helps you cope with the situation by reducing stress-related high blood pressure, decreasing levels of the stress hormone cortisol, and impairing anxious feelings (15). 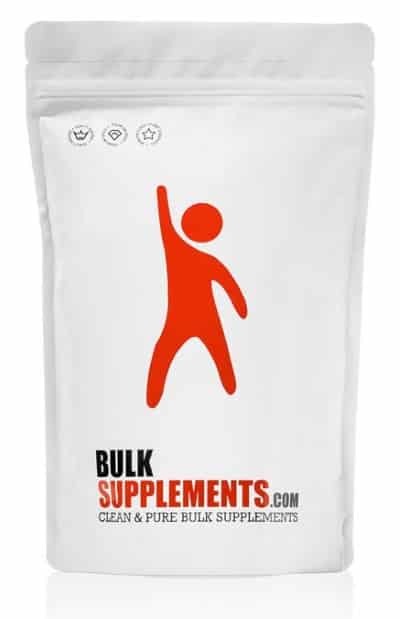 Recommended product: BulkSupplements ​Pure ​Ginkgo ​Biloba ​Leaf ​Extract ​Powder. ​How to use: To enhance cognitive performance, take between 120 and 240 mg one to four hours before your task. 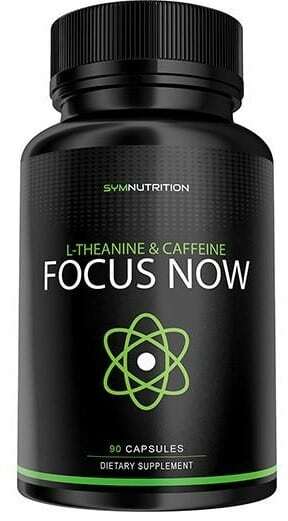 If you want to enhance focus and attention span, supplementing caffeine along with l-theanine (a compound that’s found primarily in tea) is one of the most reliable, cost-efficient, and safe nootropic stacks. The reason is that this stack works synergistically (16). For example, research shows that the combination of L-theanine and caffeine improves the attention span more than caffeine alone (17). And l-theanine mitigates the downsides of caffeine, such as an increase in blood pressure and anxiety (18). ​How to use: Take one or two pills of Now Focus by SYM Nutrition daily before a task that requires sharp focus, preferably in the morning and with a meal. Where to Buy:​​ ​​​​Shop Now! Ashwagandha is an Indian herb that’s been used in Ayurvedic medicine for over 3,000 years. It is a potent anxiolytic, which means that it can reduce anxiety levels. 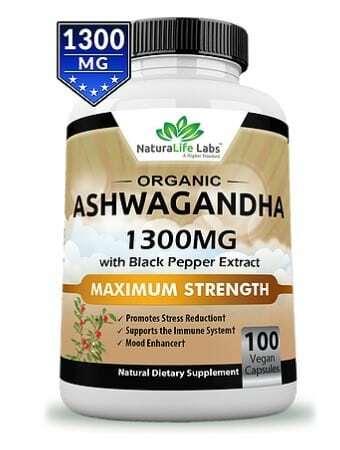 So, if anxiety regularly overwhelms you, or you have an event coming up during where you need to be calmer, supplementing with ashwagandha can offer the solution. The primary way in which ashwagandha decreases anxiety is by enhancing GABA signaling in your brain. This makes you feel more relaxed (19). Besides, ashwagandha is also potent at lowering levels of the “stress hormone” cortisol, which reduces the adverse effects stress has on your body (20). Certified Organic and made in the U.S.
​How to use: Take one or two pills of the organic ashwagandha by NaturalLife Labs daily. If taken only once a day, consume it with your first meal of the day. Noopept (N-phenylacetyl-L-prolylglycine ethyl ester) is a nootropic that was originally discovered and synthesized in Russia. It's most commonly used to treat age-related cognitive decline, but it’s also popular among those interested in achieving peak mental performance. The primary benefit of noopept is that it stimulates the expression of BDNF and NGF, as shown by research on rats (21). This prevents neuronal degeneration and enhances the growth of new neurons, which, in turn, can reduce age-related cognitive decline and increase memory and focus. Besides, a study on rats found that noopept also reduces anxiety (22). And human research suggests that noopept helps with emotional balance by improving irritability, energy, and apathy (23). ​How to use: Take 10 to 30mg sublingual (under the tongue) once a day for up to 56 days. Then, take at least a two-week break before repeating the cycle. A nootropic is a compound – either artificial or natural – that can enhance cognitive functioning. While they can’t turn you into an instant genius, they can give you an edge when it comes to reaching peak performance, whether that’s by boosting your productivity on work, helping you remember your school work better, decreasing your feelings of anxiety during social gatherings, or another of the many benefits linked to using them. So, if you’re ready to boost your cognitive functioning and take your performance to the next level, then here’s your next step. Every nootropic outlined in this article is potent when it comes to boosting your cognitive abilities. While the one that is best for you depends on your personal needs and situation, when it comes to the average reader, we highly recommend the Keto Nootropic by Perfect Keto. Why? Because Keto Nootropic is a product explicitly designed for ketogenic dieters, and it includes everything you need to ensure peak mental performance. This includes MCTs, exogenous ketones, a broad spectrum of nootropic compounds, vitamins and minerals, and grass-fed collagen peptides. It’s also delicious, and it mixes perfectly into your favorite beverages. 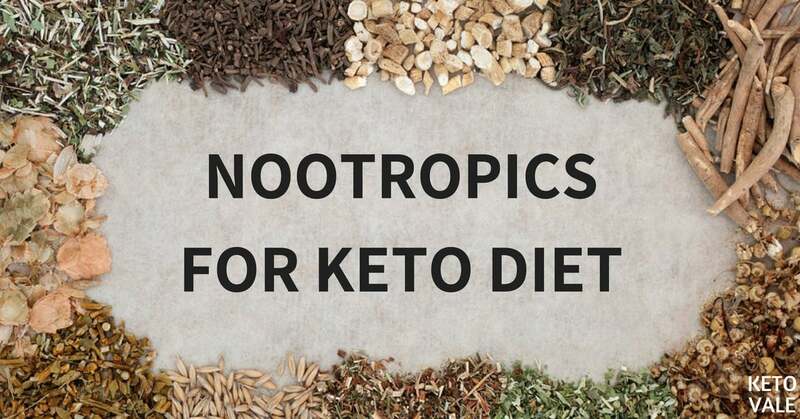 If you’re ready to explore the benefits of nootropics and boost your cognitive abilities, then give Keto Nootropic a try today by clicking on the button below. You’ll be glad you did!